The Superior All-stainless steel Self-wringing Mop that is the best floor or wall cleaning tool available. All stainless steel with the exception of the wringing rollers and the sponge head. All the metal parts are manufactured in high quality 300 stainless steel for best resistance to corrosion. The rollers are polyvinylchloride and the T-35-S Squeegee Head is a special hybrid polyurethane material made in Switzerland. It has excellent absorbent capabilities and good wear & tear resistance. These outstanding properties are best realised for cleanroom usage. Brushes for laboratory glass and plastic containers made of Plastic foam – highly pull resistant, non absorbent, non soaking and do not weaken delicate cleaning action, do not scratch or mark, ideal for heavy-load work, the last many times longer than conventional brushes or sponges. 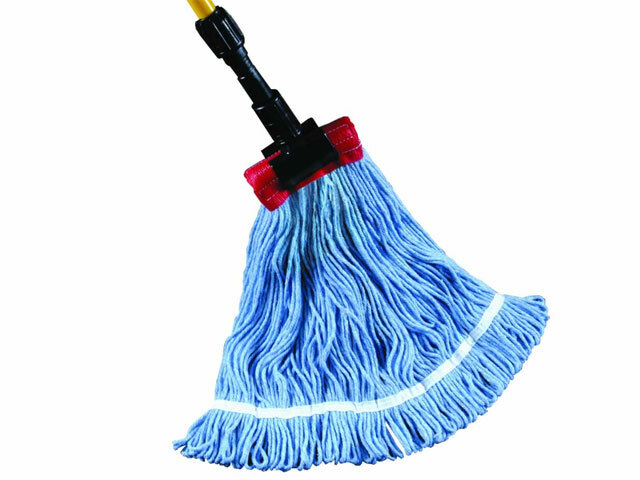 Constructed of specially woven strands of low-linting polyester/cotton, Ruff-T absorbs twice as much liquid as conventional mops making Ruff-T an ideal mop for non-slip, non-skid surfaces. Ruff-T looped mop stands up to rough floor surfaces such as stone, terrazzo, concrete and other textured surfaces. 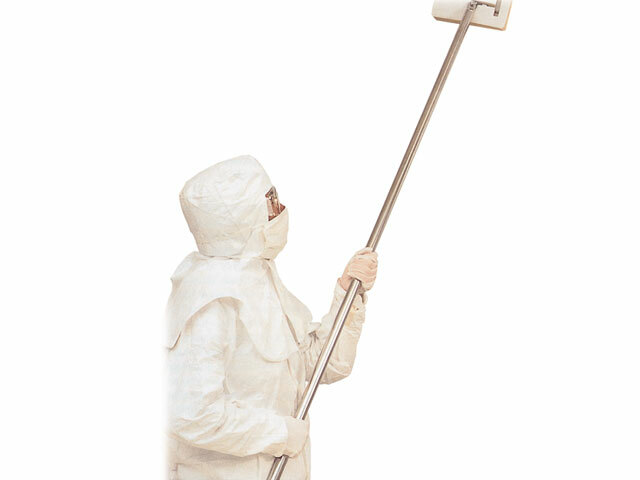 *Clean Room Equipment includes Mops and Cleaning Buckets, Vacuum Cleaners and Microbiological Air Samplers.